With energy cost rising, any opportunity to reduce your bills should be warmly welcomed. Woodburning stoves are one of those ways, as wood is a cost-efficient means of heating your home compared to electricity or gas sources. A well-installed, efficient stove can cost just €200 per year to stock up with wood, a far lower cost than most households would otherwise spend. And this is just for retail buyers: anyone who owns a small holding or an area of woodland can gather their fuel for free, whereas people living nearby can try and cut themselves a cheap deal. One of the concerns people have with getting a woodburning stove is that much of the heat may be lost, defeating the point of having one. In reality, these appliances are able to achieve around 80% efficiency levels on a regular basis, making them as much as 50 to 60% more efficient than using an open fire. This is because their design has improved drastically over the years, with a modern stove requiring two-thirds of the amount of wood an older model would’ve needed to heat up a home. As a result, a modern system could produce enough energy to heat water for up to 15 radiators. Another issue that holds many people back from investing in woodburning stoves is the worry that they’ll spend half of their time cleaning up the mess it leaves behind. Like many concerns, this one is outdated as modern stoves have been designed to heavily reduce the amount of dust, soot and smoke produced. The latest combustion efficiency systems also ensure that less carbon dioxide and methane is pumped into the atmosphere, a benefit which leads on to our next point. Obviously you can fill any multifuel or single fuel stove in a non-sustainable way, if you choose to use wood from companies involved in mass deforestation. Yet there are plenty of reliable, reputable suppliers out there who manage their woodlands well to lessen the impact of their business on the environment, and if you only go to them then you can claim your stove as a renewable source of energy. In terms of greenhouse gas output, the carbon dioxide released is roughly equal to the amount a tree absorbs during its growth, cancelling out the impact. 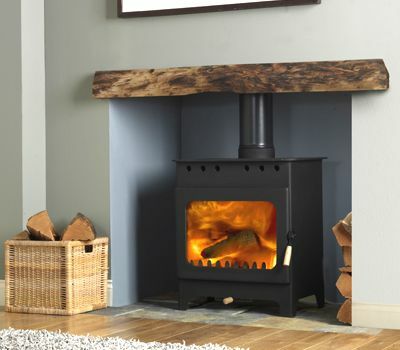 All practical benefits aside, woodburning stoves have a clear aesthetic advantage over other forms of energy production. Compared to the cold, metallic look of a radiator or boiler, the slick, modernised appearance of a modern system is an excellent asset to your room’s layout. Aside from the structure itself, that warm, orange glow produced by the fire alongside the familial sight of burning logs gives the appliance a wonderfully traditional, cosy feel to it.